The Simcoe Dental Group are dedicated to providing our patients with the highest level of care within a relaxed environment. We provide all general dental services, which are described briefly below. During your examination, we will discuss your individualized treatment plan and options with you. 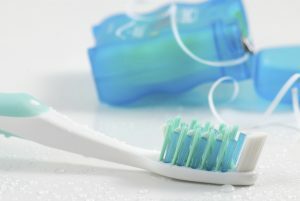 If you are due for a checkup or cleaning, or would like to discuss your oral health please call us today. We are happy to help! 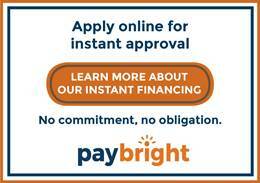 If you would like to know what to expect at your first visit, click here. We primarily opt for tooth-coloured (composite resin) fillings to mend decayed or damaged teeth. Composite fillings chemically bond to the tooth structure. This means that minimal preparations can be made and valuable tooth structure is preserved. We also provide dental inlays and dental onlays, which may be suitable in cases of significant loss of tooth structure. 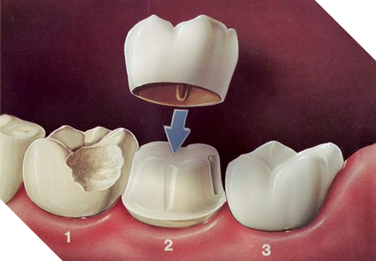 Dental crowns are a tooth-shaped cap that surrounds the tooth. They can be used to protect broken down or brittle teeth or enhance the appearance of severely discoloured teeth. Dental crowns are also recommended following root canal treatment to protect the dehydrated brittle tooth structure. Crowns are made from a variety of materials – ceramic, metal or a combination (Porcelain fused metal). The choice varies depending on the area of the mouth and patient factors such as teeth grinding. 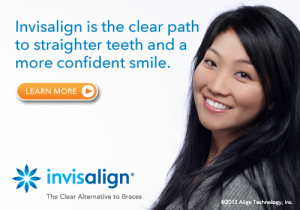 We want you to smile confidently! If you are concerned about the appearance of your teeth, we offer a range of treatments to enhance your natural teeth. During your cosmetic consultation we will discuss your concerns and assess your mouth for suitability. We will then customize a cosmetic dental plan to suit your needs. View our before and after gallery for examples of cases improved with simple cosmetic treatment. In-office: Using the #1 Professional Teeth Whitening system, Phillips ZOOM!, we offer a fast and safe way to whiter teeth. Shine bright with this system which delivers brilliant results in under an hour. At-home: For patients who prefer a gradual result, we offer an at-home system of custom trays and gel that you can wear at your convenience. Treatment duration varies depending on desired shade. White fillings, known as bonded restorations, are a safe and non-destructive way to close gaps, reshape teeth and improve discoloured areas. Old fillings on front teeth can often affect the overall appearance of your smile when they become stained. By updating discoloured restorations with new white and well-polished fillings you can enhance your natural smile. If the teeth have extensive discolouration or the shape is not liked, veneers can act to camouflage this. Veneers are thin porcelain coverings that are bonded onto the front part of your tooth. Unlike crowns, porcelain veneers require the removal of only a thin layer of enamel (up to 0.5mm) on the front surface or the tooth to allow space for the veneer. 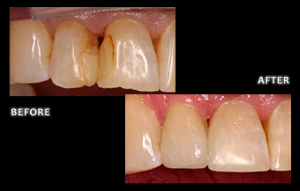 Veneers work by bonding to the tooth surface both chemically and through micro-retention. From wisdom teeth extraction and gum surgery to dental implants, we can address your oral surgery and root canal needs in-office. Implants are the ideal solution for replacing missing teeth. 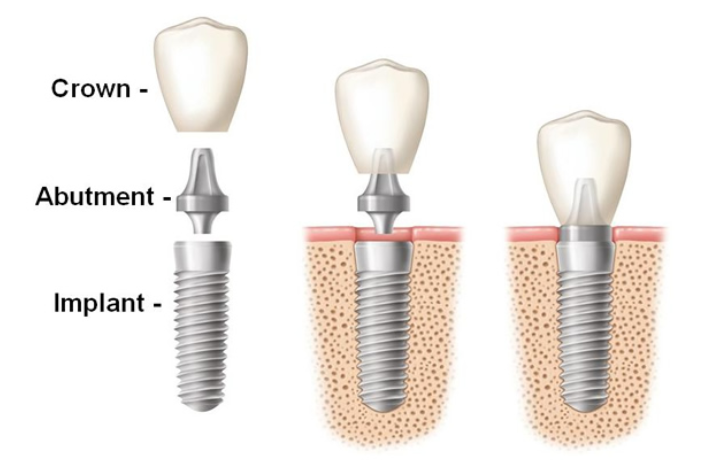 The implant itself is a bio-compatible screw (often titanium) that is surgically placed into the jawbone to replace the root of a missing tooth. This screw acts as an anchor to support a false tooth (crown), bridge or denture. We offer implant solutions for any missing teeth, from one space to the entire mouth. At Simcoe Dental Group, it is our priority to prevent the unnecessary loss of natural teeth. Occasionally, a tooth must be removed such as due to advanced decay, loss of bone support, pathology or for orthodontic reasons. Our emphasis during extractions is on patient comfort to leave you with the best possible experience. In terms of wisdom teeth, removal may be recommended in cases of pain, damage to the tooth in front, difficulty cleaning or impaction. 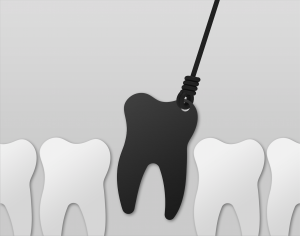 A root canal may be indicated in the case of pain, deep decay or trauma. Endodontic treatment involves removal of dead or infected pulp tissue from a tooth while maintaining the exterior structure of the tooth. This treatment usually takes place over 1-2 visits. 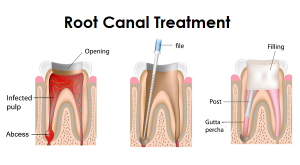 It is recommended in most cases that a crown is placed following root canal treatment.